When I was about five, my grandparents were caretakers at a place in Knowlton, Quebec, Canada. Being a fairly independent tyke, my parents would let me spend a week on my own visiting them. One of the things I remember is driving a Cub Cadet that they had up there. My recent nostalga kick is collecting Cub Cadets. So far they're all 102's. Here I am. My mother recalls this as the summer of 1965. 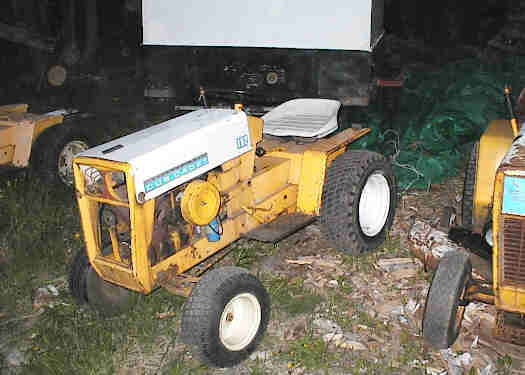 The Cub is a 100 with headlights. I'll have to get one of these!! 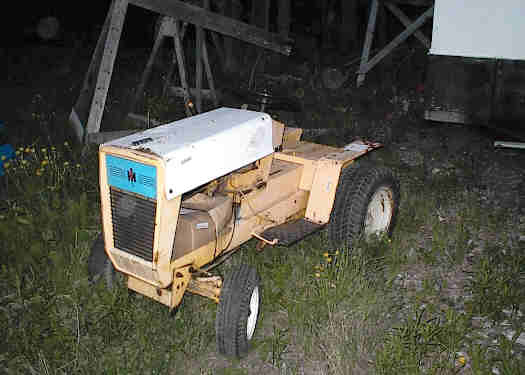 Cub One was purchased in December 2000. It came with the deck shown on it. It runs much better then it looks! 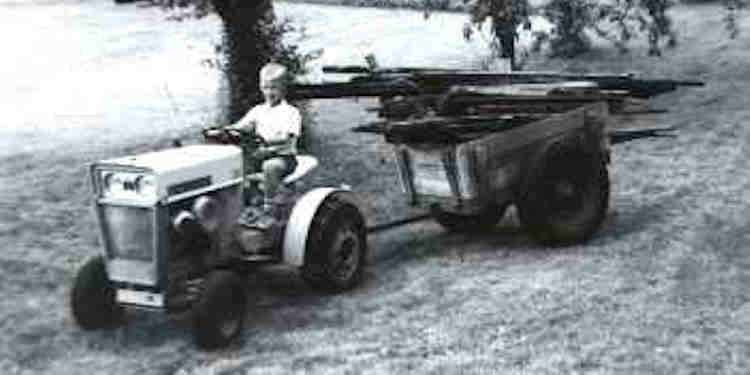 The cart was actually found in CT on the way home from a swap meet before I found the tractor. 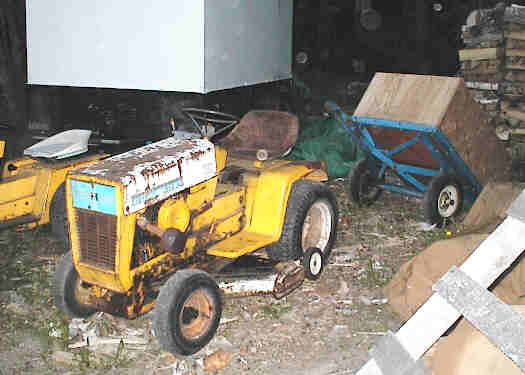 This Cub was purchased after winning a set of chains on e-bay. I bought it from Rich Patton in PA near Pittsburg. I had it shipped Yellow Freight. Serial # 165679 makes it a 1966. Cub Two was a recent local find (4/01). It's got the correct fenders, seat, and a creeper gear. Serial # 185580 its a 1967. 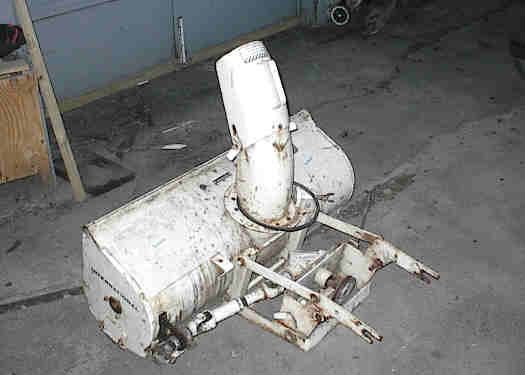 QA42A snowthrower from e-bay 5/01. Need info on how to hook this up! 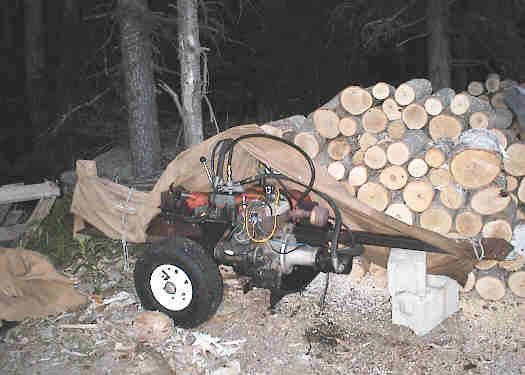 Here's the woodsplitter that I built awhile back. By coincidence it has a Kohler engine even though I found the pieces before I started looking for Cubs.